No home library is complete without the classics! This new collection of stories from Brothers Grimm: 101 Fairy Tales is a keepsake to be read and treasured. They are the stories of characters we’ve known since childhood: Snow White, Hansel and Gretel, Cinderella. But the works originally collected by the Brothers Grimm in the early 1800s are not necessarily the versions told before bedtime. They’re darker and often don’t end very happily--but they're often far more interesting. 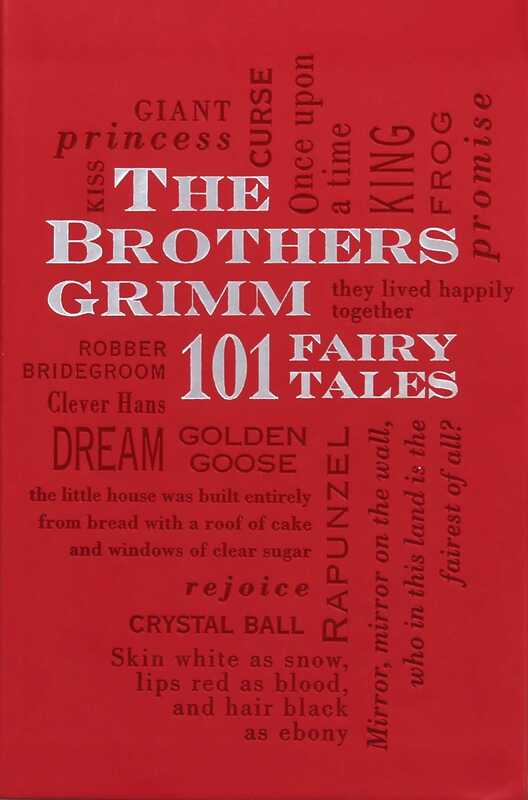 This elegant edition of Brothers Grimm: 101 Fairy Tales includes all our cherished favorites--“Sleeping Beauty,” “Rumpelstiltskin,” “Little Red Cap,” and many more--in their original versions. Now available as part of the Word Cloud Classics series, Brothers Grimm: 101 Fairy Tales is a must-have addition to the libraries of all classic literature lovers. Many of these stories begin with the familiar refrain of “once upon a time”--but they end with something unexpected and fascinating!